Situated right on the edge of the Mendip Hills England’s smallest city certainly packs a lot of punch! 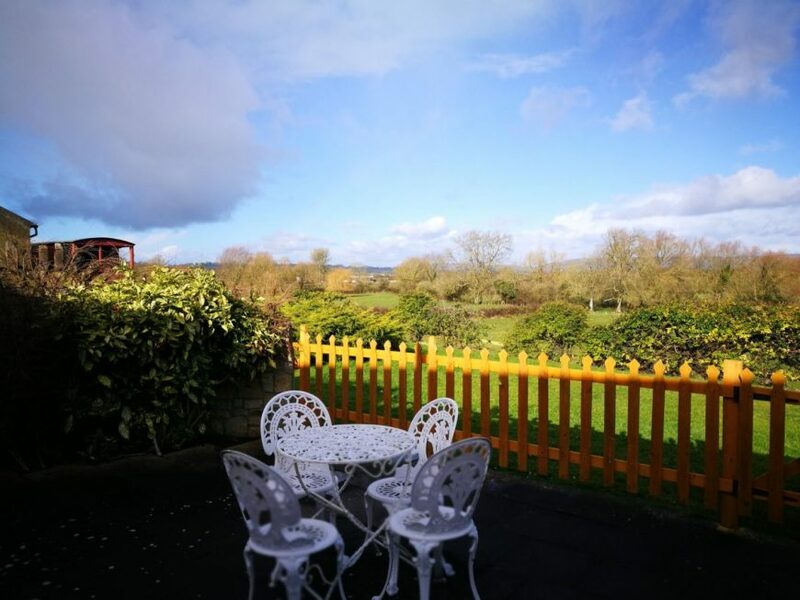 With a population of around only 10,000, Wells Somerset definitely has that quaint & quintessential feel. 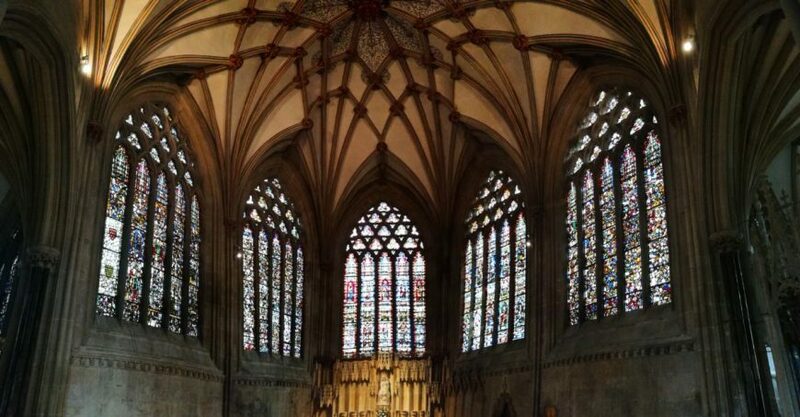 Dominated by its stunning & ornate cathedral which dates back to the 12th century this tiny little city is worth at least a 1/2 day on anyone’s Somerset itinerary. 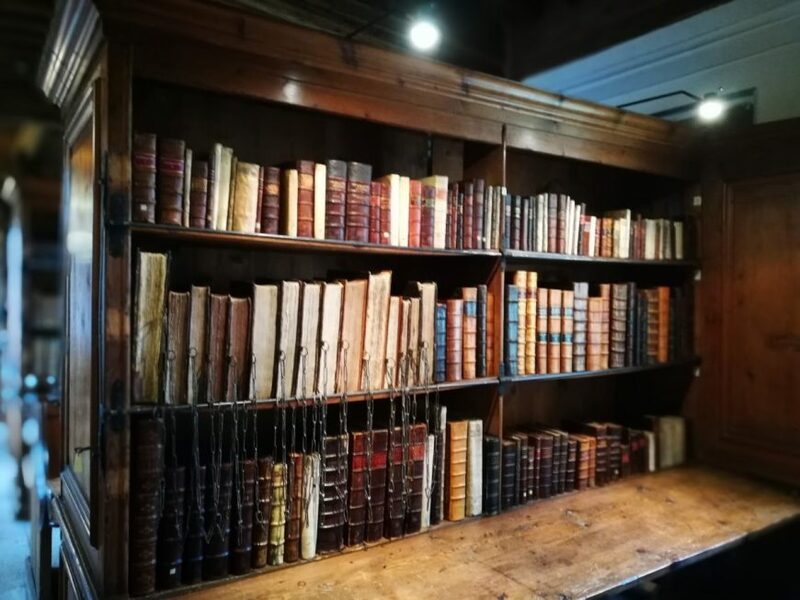 Wells cathedral is not however the only sight to see, here’s where we’ll tell you what else is on offer in Wells Somerset as well as a little on its surroundings….. Built between 1175 & 1490 this place certainly has the wow factor! The earliest English cathedral to be built in Gothic style & in our opinion not only England’s most beautiful but one of the most beautiful cathedrals in the world. We’d recommend taking some time outside to soak up this magnificent sight & of course for the countless photo ops but stepping inside is also a must. As soon as you enter you can feel the history of this place, it’s truly magnificent. Not to be missed are Wells Clock which is considered the second oldest clock mechanism in Great Britain & chimes every 15 minutes, on the hour. The Chapter House, an superb example of the style of this time which was built for forty prebendaries or canons, to meet together and discuss the affairs of the cathedral. Jesse Window one of the best examples of medieval stained glass in Europe and the cathedral library, one of only four chained libraries in the UK. There is also an excellent & detailed display room which has a timeline detailing the cathedral. 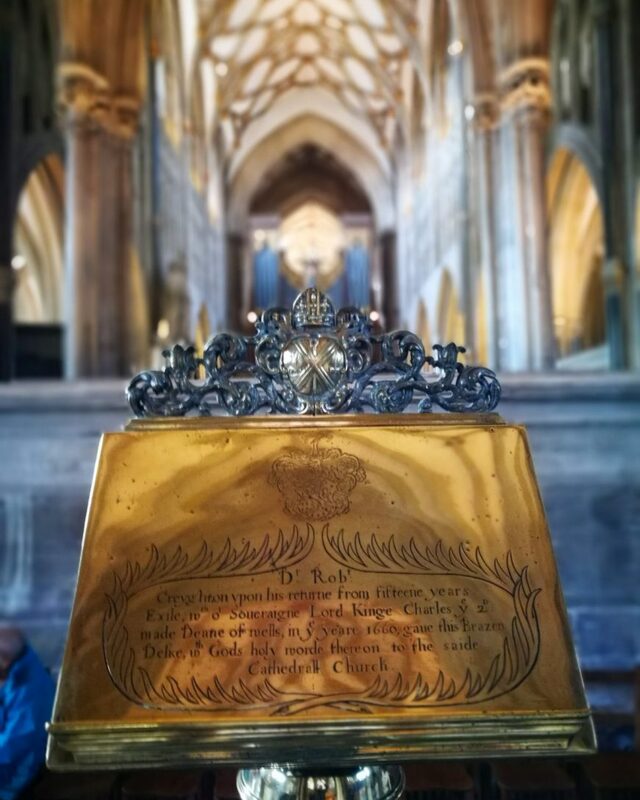 For more information on opening hours, the suggested donation for entry & what else is on at Wells Somerset Cathedral click here. Right next door to the cathedral & home to the bishops of Wells & nearby Bath for over 800 years this stunning palace & its surrounding gardens are the next must-stop spot for anyone visiting Wells, Somerset. There are regular exhibitions, family fun, workshops & even summer theatre here too. For more info on opening times, admission prices & exactly what’s on throughout the year click here. Wells Somerset is also home to the oldest said residential street in Europe. Built in the mid-14th century, this street consisting of now 27 residences is like taking a walk back in time. 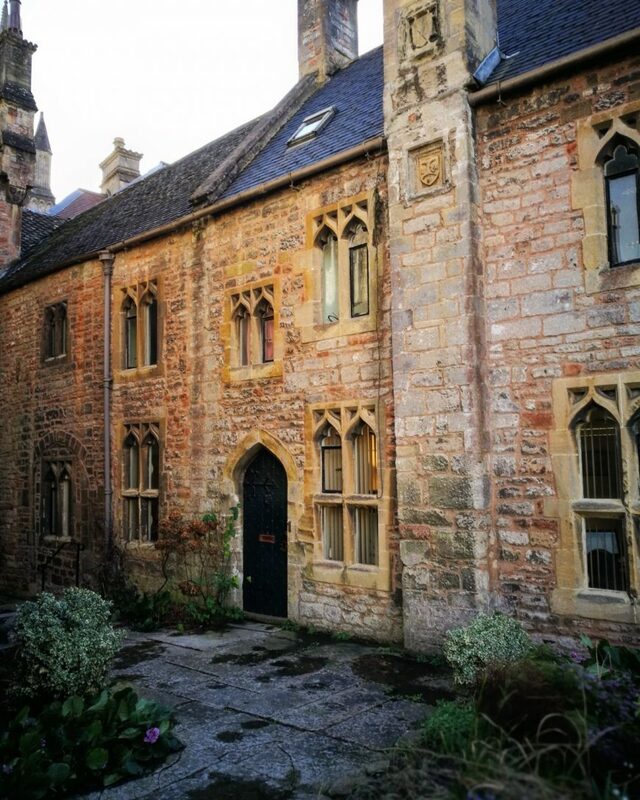 As well as Bishops Palace, Vicar’s Close is a surviving secular building of Wells Cathedral which all make for an exceptional number & give Vicar’s Close its Grade I listed status. When taking a wander here be sure to look out for the detail of each house & soak up the peace & tranquillity which comes from this street being completely vehicle free. If you’re lucky you might even spot a Vicar unless of course he lives in the house with the secret passageway which has its very own tunnel from the dining room leading right into the cathedral! After getting your fill of history there are plenty of cute little shops & eateries to keep you busy! Not to be missed is a proper west country cream tea, a pot of English tea served with freshly baked scones, homemade jam & west country clotted cream (believe us when we say its the best). Being England’s smallest city makes Wells perfect to explore by foot, we really like that we can take our time when wandering around & this is the perfect place to do just that. 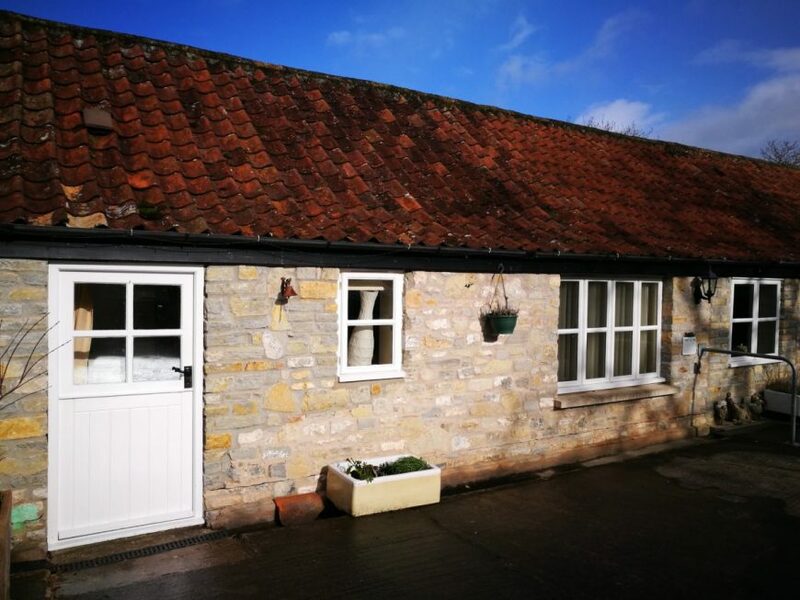 We opted to stay close to the cute little village of Wedmore in a gorgeous, stone built AirBnB Cottage just a 20 minute drive from Wells Somerset & a fabulous base from which to explore the area. Being surrounded by the Mendip Hills makes for some fantastic hiking opportunities & with this place you can literally hike straight from your doorstep. There are also the nearby cities of Bath, Bristol (my home city) & famous sights such as Cheddar Gorge & Stone Henge to explore to name just a few. So there you go, just a few reasons to add Wells Somerset to your England itinerary! If you have any questions or anything to add yourself please do in the comments below! 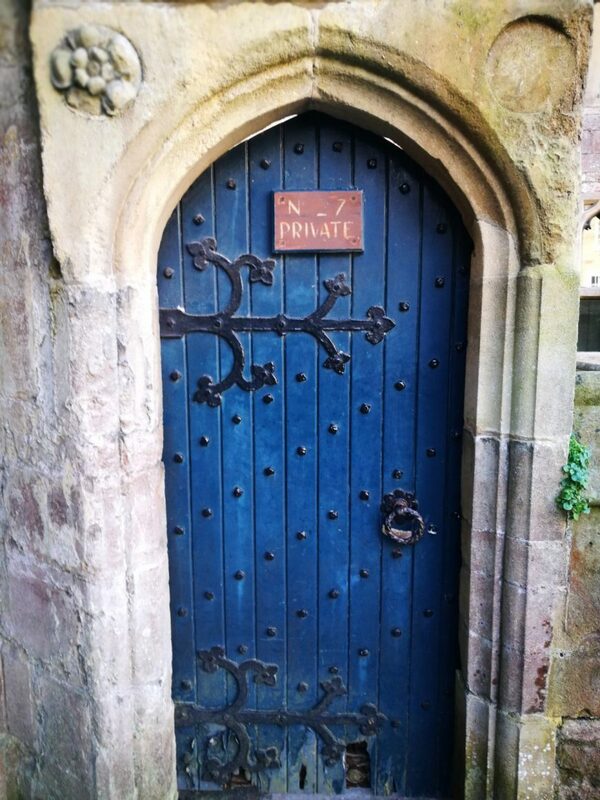 This entry was posted in England and tagged Somerset, Things To See, Wells.